For business trips under 30 days, you can use the same FMT as the tourists, but simply fill out the business section. If you plan to stay longer than 30 days for business, you will need an FM3. See our FM3 section below for more information. Getting an FM3: An FM3 allows you to stay for more than 6 months and up to 12 months in Mexico, and keep your foreign car in the country. You can hire someone who will do all of this for you (prices vary from $80 to $150 + fees per application). Non Working FM3: You will find some information on the official site www.inami.gob.mx. Click here to access the forms. Step 1 – Get your “ficha” or ticket number. Step 2 – Verify your documentation with the agent and receive a form to pay the fee (currently $491 pesos/$25 USD) at the bank. Step 3 – Visit the bank, pay the fee (Puerto Vallarta – in the same complex as the Starbucks, a short walk towards Centro. In Bucerias – next to the Oxxo there is a Bancomer). 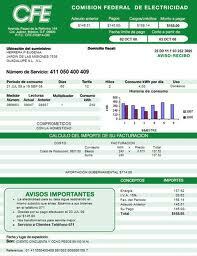 Step 4 – Get 3 copies of the receipt (Puerto Vallarta – in Soriana. Bucerias – Pharmacia Guadalajara next to the Bancomer). Step 5 – Bring your bank receipt and copies and you will be given a letter with a return date. Step 2 – If approved – get your second bank form ($1,294 pesos) – try to pay it right away and return to continue the process. Step 4 – Receive a letter with a date to pick up your FM3. Step 1 – Get your “ficha” or ticket number. You can also show your letter and see if they will pass you right away, as they simply need you to sign something. Step 2 – Sign the papers and pick up your FM3! TIP: It is a good idea to call before going for your final visit to pick up your FM3…it might not be ready. • Photocopy all pages (including blank ones) of both your FM3 and Passport. • Fill out the FM1 (click here for form) again. • 3 copies of your bank statement (3 months) with your name on it to prove income. • Bank fee of $1,294 pesos/$66 USD. To open up a business or work in Mexico, the first step is to perform a change of activity on your FM3. The fee for this is $2,042.00 pesos/$104 USD (payable at the bank). • Letter in Spanish requesting the change of activity on Company letterhead (the company you plan to start up or company that is hiring you). • You need to fill out the FM1 (click here for form) again. TIP: If it’s a slow day, they might show you what to write. Once you get your change of activity on your FM3, you can start the process of getting a business license. It is highly suggested that you hire a lawyer to handle the paperwork. It will save you hours of headaches, especially if your Spanish is poor. Please call 1-800-960-5917 if you need help or have any questions about legal documents for Riviera Nayarit, Mexico. Visit our Moving to Riviera Nayarit page for additional advice and information. Learn more about the legal requirements for entry to Mexico here. Find out more about Riviera Nayarit by booking a vacation first!